Welcome to Guerry: maps, data and methods project! 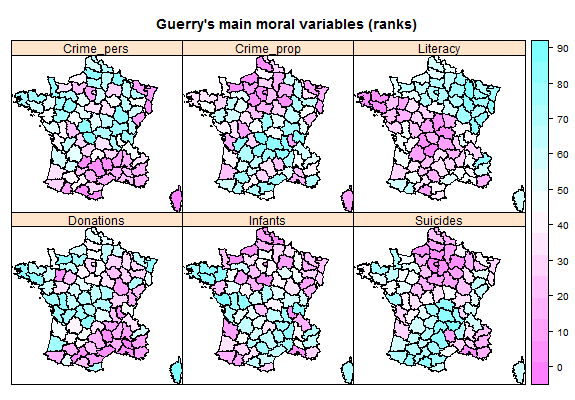 This project comprises maps of France in 1830, data from A.-M. Guerry and other and statistical and graphic methods related to Guerry's "Moral Statistics of France". A vignette for this package, Spatial Multivariate Analysis of Guerry's Data in R, written by Stephan Dray was removed from the package because it no longer complies with CRAN policies.